How does this relate to the issue of the U.S. dropping its membership from the UN Human Rights Council? 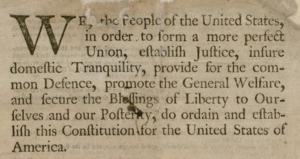 I believe we must better understand the history behind the Council’s formation and what it represents as a continuing effort to realize fundamental human rights for everyone, in order to grasp the full impact of the U.S. dropping its membership. 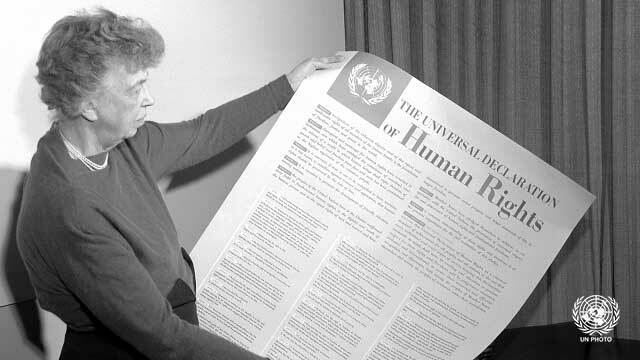 That the draft of the Universal Declaration of Human Rights to be presented to the General Assembly was finally brought to conclusion at all and that it retained the continued support of the United States government was a tremendous accomplishment, due to the efforts of many committed representatives from around the world. Nonetheless, the role of Eleanor Roosevelt’s leadership in the maintaining the momentum and in securing the continued support (with some backsliding) of the American government for the Declaration itself at least through the adoption of the document, was significant. The result, although certainly imperfect and incomplete, was and is the first truly global statement on the rights of “everyone” in every nation to be able to rely upon certain fundamental human rights. In 2006 the original Commission on Human Rights was replaced by the current Human Rights Council in an effort to address problems related to the member countries of the Commission often seeking refuge on the Commission from criticism of their own human rights violations. The October 28, 2016 Harvard International Law Journal Article titled Did the Creation of the United Nations Human Rights Council Produce a Better “Jury”? provides a helpful analysis of the challenges faced by the Council. As the article points out, while the Council improves upon the original concerns regarding the Commission, there are still problems regarding the members of the Council and their own records regarding respect for human rights. All this said, I believe the overall work of the Council is worthy of attention, and that we ought to consider the effort required to fulfill the mandates of the Council while overcoming its many challenges. Key to this consideration is recognizing that this work has only been happening for the last 73 years. This is a miniscule amount of time to address the hundreds of years of war-based dynamics the world has suffered. The tremendous hope the UN and its composite functions has provided, including the deliverance of the UDHR, as a radical new way to address global issues and sustain peace, requires commitment of effort on everyone’s part far beyond these 73 years. The major leadership role of the U.S. in creating the UN and the UDHR was key to generating hope for this better world. We can speak up to our representatives to implore that the U.S. ought to reinstate its membership in the Human Rights Council and set the example of what it means to exert sustained effort to keep working toward the world as it truly could be. Human Rights USA. (1998). Human rights here and now: Celebrating the Universal Declaration of Human Rights. Flowers (Ed). Minneapolis, MN: Human Rights USA Resource Center. Article: Did the Creation of the United Nations Human Rights Council Produce a Better “Jury”?